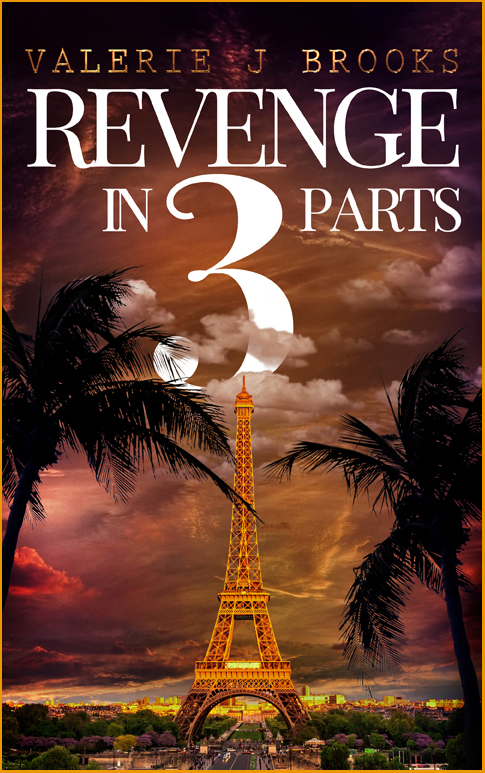 Book launch for Valerie J. Brooks’ femmes-noir novel REVENGE IN 3 PARTS. Come hear her read, entertain, and tell you why she considers noir to be protest lit. In this gripping psychological thriller and debut noir that takes the reader from Paris to Portland, Oregon, and finally to Kauai, criminal attorney Angeline Porter is forced to fight crime outside the law after her sister’s suicide. Taut and intense with heart-pumping twists, Revenge in 3 Parts uses classic noir language laced with modern tropes–a hacker named Snoop, the Ashley Madison dating site, and Snapchat–and burns with contemporary femmes-noir energy creating a new crime genre and heroine for a disturbed modern age.